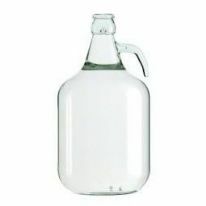 The Better Brew range of 6 bottle home brew wine kits are by far the best value/quality kits in this section. They do not require any extra sugar. 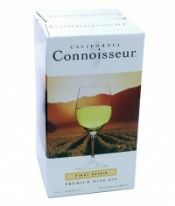 The California Connoisseur kits are top quality 4 week wine kits. As are the Beaverdale kits, they have been around since 1988. Both are available in 6 and 30 bottle kits. These wine kits don't require extra sugar either. 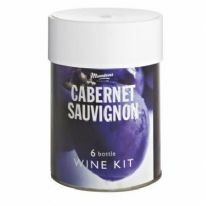 The Muntons, Mondeo and Youngs 6 bottle homebrew wine kits are all ready to drink in about 3 to 4 weeks, but you will need to add extra sugar. The Muntons homebrew country wine kits contain real fruit juices: Apricot, Black Cherry, Elderberry, Bilberry, Eldeflower or Strawberry. The Young's definitive country wine kits require the addition of a small amount of sugar and will be ready in 3 to 4 weeks. 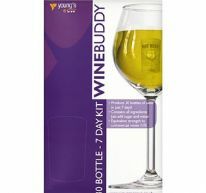 Very popular 6 bottle wine kits. 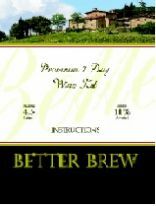 All homebrew wine kits in this section include yeast. Top quality 6 bottle wine equipment starter kits to make these wines are available in the Homebrew Wine Starter Kits section.